Lonza has added Verified for Spheroids Human Hepatocytes to its hepatocytes portfolio characterisation. The new hepatocytes are pre-screened for their ability to promote rapid spheroid formation in cell culture. Researchers working in toxicology, disease modelling and DMPK studies can now feel more confident in the performance of Lonza’s hepatocytes in their spheroid and other three-dimensional (3D) culture platforms. The new hepatocytes were unveiled at the 58th Society of Toxicology (SOT) Annual Meeting and ToxExpo. Physiologically relevant in vitro liver model systems play a crucial role in the success of toxicology, disease modelling and DMPK studies. Conventional two-dimensional (2D) hepatocyte cultures offer good short-term models, but they tend to rapidly lose typical hepatocyte functionality, which makes them unsuitable for longer-term studies. To address this challenge, self-assembling liver spheroids generated from primary human hepatocytes (PHH) are increasingly employed. These spheroids exhibit in vivo-like cell organisation, improve the predictability of known clinical liver toxicants and preserve the viability and functionality of the hepatocytes. 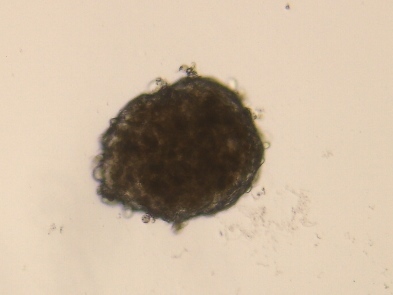 However, not all currently available hepatocyte donor batches are capable of forming spheroids in culture. “Using spheroids as in vitro liver model systems requires researchers to carefully select donors and thoroughly examine hepatocyte lots in advance,” said Erica Chamberlin, Technical Specialist at Lonza. “With our Verified for Spheroids Human Hepatocytes, we take on this burden on behalf of our customers, enabling them to focus on what matters most – their science."